With more than 55 years of experience and partnerships with the foremost research institutes, SAFE is an undisputed international reference. The SAFE site is unique. It is certified ISO 14001 (environment), ISO 9001, Codex alimentarius HACCP, and GLP & GMP reliant,FDA Compliant. Entirely dedicated to the life sciences, it has a total product and packaging traceability system based on a baby-food manufacturing process. 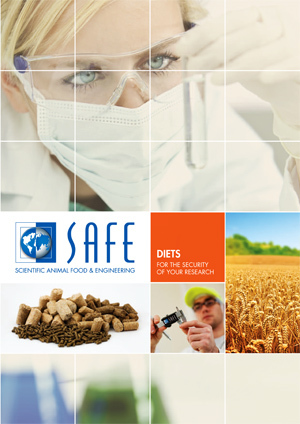 SAFE receives daily support from a group, world leader in nutrition & animal health and strongly involved in research and development activities. SAFE, at the heart of the research process. SAFE benefits directly from the Invivo group’s Research & Development centre at Vannes. INVIVO is a world leader in animal nutrition and health, very strongly involved in research activities. On a 40 hectare site, 19 research buildings house researchers, nutritionists, geneticists, vets and pharmacists. For example, the R&D centre is at the leading edge in its specific nutritional models for different animal species, aspects of nutrition and health, animal well-being etc. The models studied are then sent to actual animal applications on the five continents.A COFRAC-accredited food analysis laboratory is also on the same site. It is a European leader in its field of activity. It has the latest analytical technology and a high-tech analytical research activity. SAFE has created more than 30,000 specialised feed formulas and special diets for biomedical research in 27 countries across the world. With its expertise, SAFE is now the principal player in Europe and also a world leader in this high-level sector. Standard diet, certified tested diet (C) and irradiated diet, most of which is vacuum-packed. Bedding using different types of wood from different origins, some irradiated and vacuum-packed. Cleaning products specifically for research animal units. 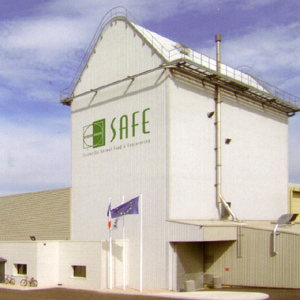 The SAFE production site is unique: it is run exclusively for the research sector. For conventional, heteroxenic, axenic and gnotoxenic animals. According to your needs, we tailor make the specific diet your study requires. Manufactured in a dedicated, high-precision workshop, their dietary and sanitary quality is without question. Caviar is a truly unique product on the market. Caviar is composed of agglomerated micro-capsules. The agglomerated product is agglomerated in different sizes to match the different stage of the fish larval development. Each capsule is filled with small peptides and low MW soluble proteins, nucleotides, EFA based phospholipids, a balanced profile of chelated trace minerals, etc. Caviar is recently formulated with frozen krill mince (Euphausia superb) as its main ingredient. This Krill is fished in the pristine waters of the Antarctic sea. This key ingredient is giving to caviar a better palatability, increased performance and extremely low levels of contaminants such as heavy metals and dioxins. INGREDIENTS Frozen krill mince, high quality fish and other marine proteins, fish soluble, non GMO soya isolate, refined fish oils, phospholipids, yeast and yeast extracts, vitamins and minerals.